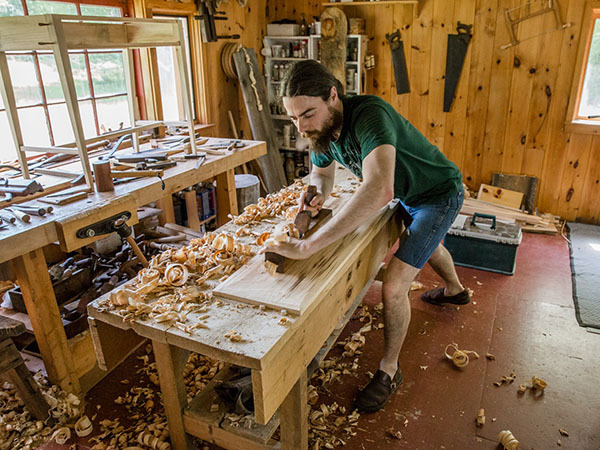 Joshua Klein, a furniture maker and conservator based in Brooklin, Maine, demonstrates 17th- and 18th-century techniques that were used in the construction of tables—including “kitchen” tables, card tables, drop-leaf tables, and worktables—common to New England homes of the colonial and Federal eras. This program is full and registration is now closed. Please see the Gallery’s calendar for a full listing of our programs.